This friendly diner will take you back to the 1950s, when burger joints were all the rage. 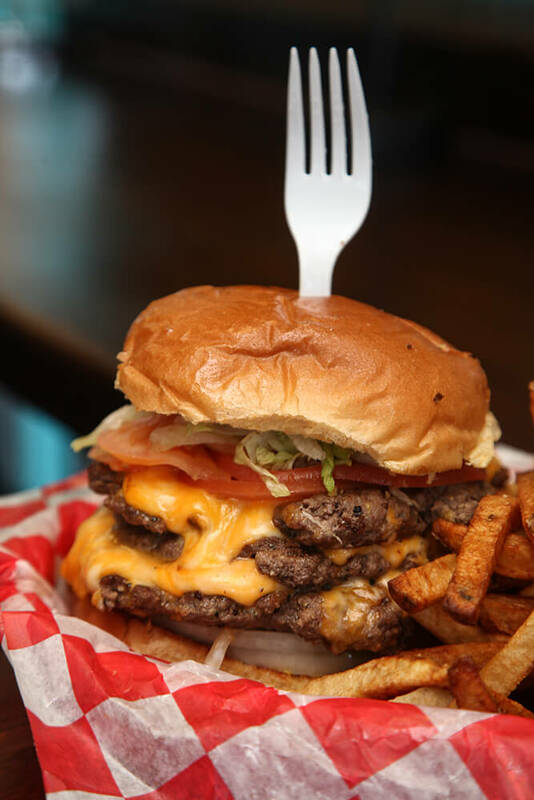 Flo’s is known for their home-cooked burgers and fresh cut fries so good, you’ll wonder why you don’t stop by more often. Customers love the diner’s kitschy, old-fashioned feel and the atmosphere as much as the fresh patties and fried mushrooms. The most popular item on the menu is the Bomb Burger. It’s features a deconstructed jalapeno popper that they blend into a paste and shove between two patties, then topped with cheese, bacon, mayo. The hand-cut fresh fries are square-cut old fashioned goodness: hot, fresh, and the perfect complement to any of the burgers or sandwiches. They also make homemade desserts like brownies and apple pies, so always ask what they’ve got for dessert when you go in. 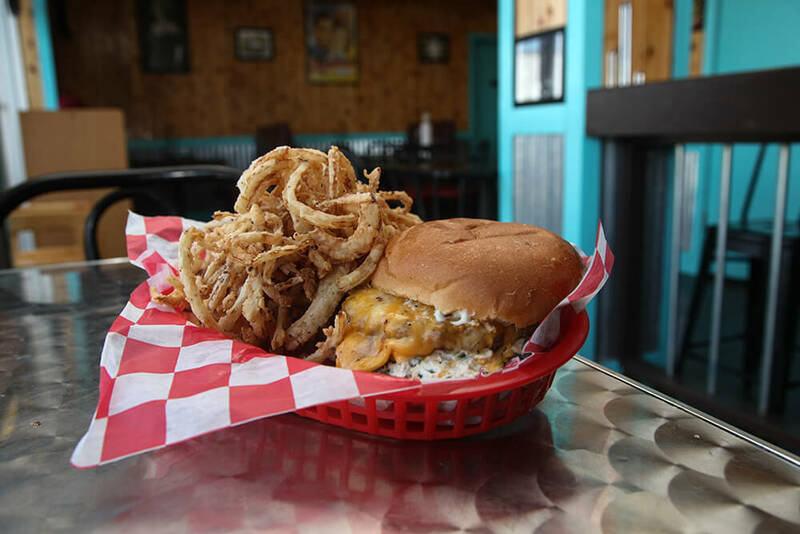 If you’re a fan of the almighty American meal known as the burger, you probably already know a little about Flo’s Burger Diner. 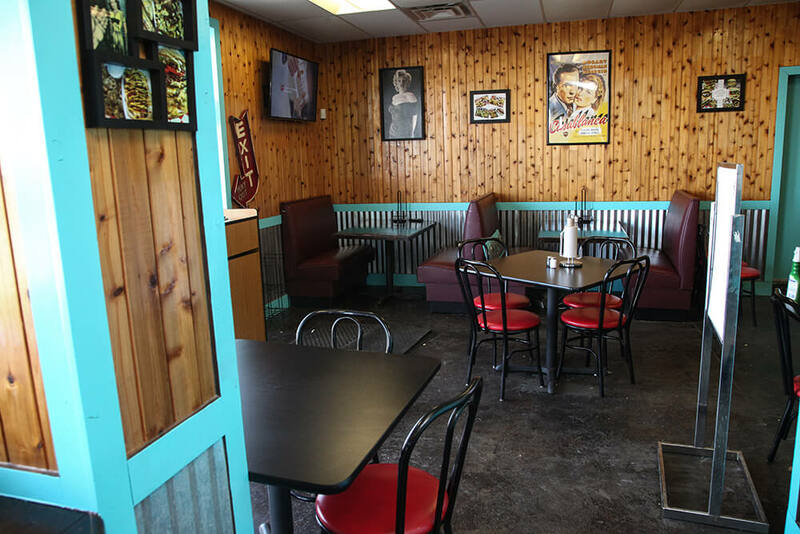 Open since 2014, this classic Catoosa spot has been dishing up amazingly crafted, sinfully large dressed burgers that would make a hungry man swoon with reverent delight. 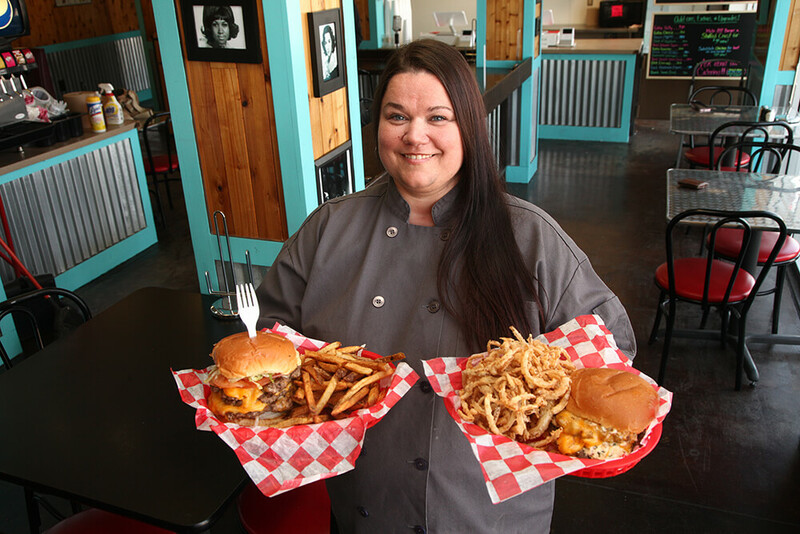 It might be surprising, though, to know that these giant burgers and fries are served up by a culinary pro, executive chef and owner Brandy Adkins, whose love of home-cooking mixed with her chef’s training has resulted in one of the best burger joints in Green Country. Adkins graduated from the Culinary Institute at Platt College, but much of her inspiration for her cooking style and approach to food comes from her family. “My dad cooked everything underneath the sun, fresh and homemade. That’s where my love of cooking comes in,” says Adkins. 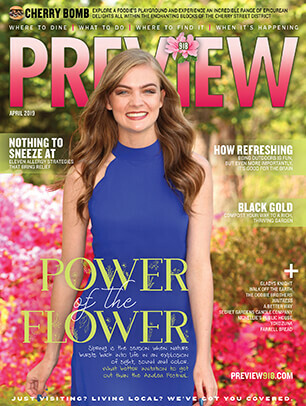 The inspiration for starting Flo’s in the Catoosa area came from her family too, as well as her instructors at Platt, who encouraged her to form a business plan before she graduated. “My husband works in the Catoosa area,” says Adkins. “We came over here to eat lunch one day, and we saw a ‘For Rent’ sign. I just thought I’d call the number and see what the rent was so I could have it as part of my plan [for my instructors]. When they told me what the rent was, it was totally feasible, so I started thinking I could totally do that,” she says. And from there, Flo’s Burger Diner has been on the upswing. Located on the south side of the highway, across from the Hard Rock Hotel & Casino Tulsa, Flo’s is in an ideal location to catch both travelers and locals for an unforgettably tasty lunch or dinner. 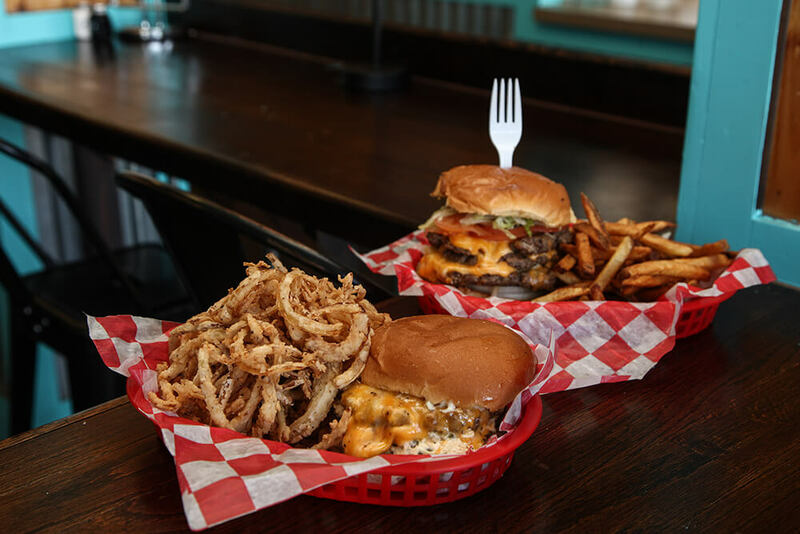 Adkins and her team serve up a variety of classic Americana meals, mostly burgers but with other choices too, when casual but delicious is in the cards for you. Among the burger choices are classic, go-to choices such as an old-fashioned burger, the cheeseburger deluxe, the bacon cheeseburger, and the blue cheese bacon burger. But there are some specialty options that are worth investigating when you’re feeling bold. 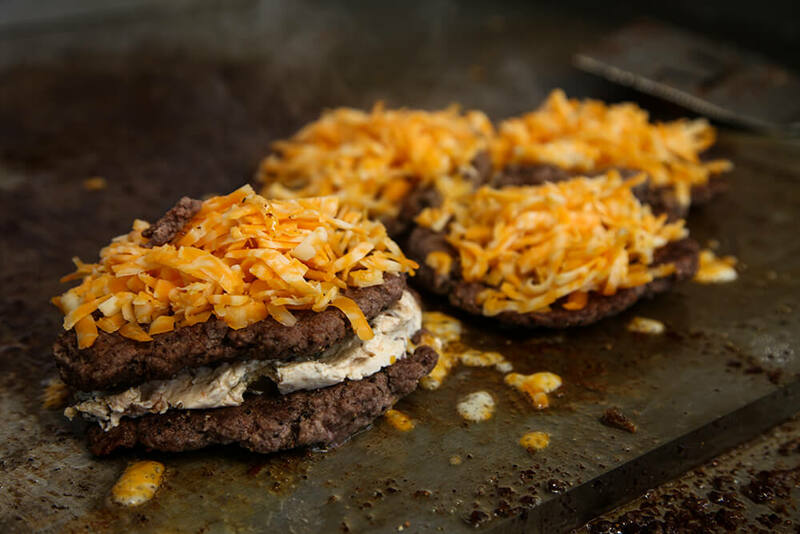 The Floyaki, for example, offers a tropical Asian twist — a teriyaki burger with grilled pineapple. The Sizzler is a spicy jalapeno ranch burger topped with onion rings. And the Bomb is a burger with a jalapeno popper spread sandwiched between the patties for a spicy burst of hot goodness. And it’s all made fresh, which adds to the appeal. “We make everything from scratch,” says Adkins. “The buns are fresh made. The meats are fresh ground. We hand grate all of the cheese. We cut all of the vegetables. We do all of our sides. There’s nothing here that’s premade. Nothing,” she says. 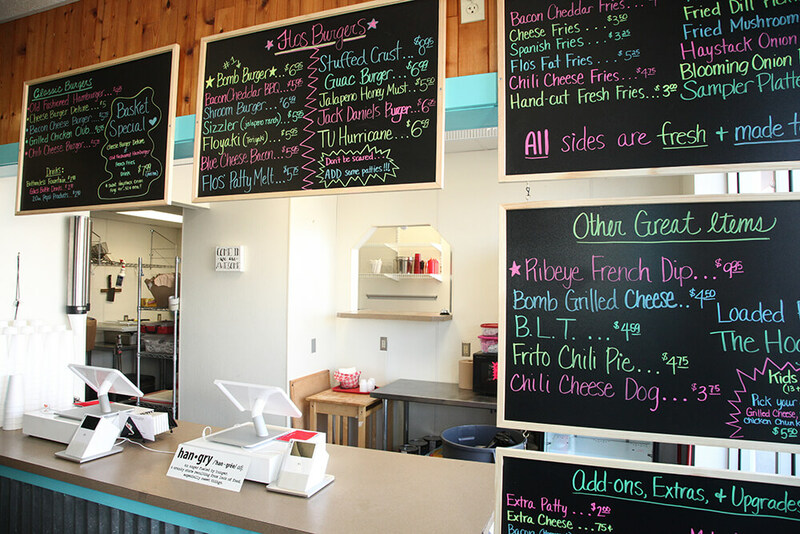 “We even make our own Ranch.” Except for condiments like mayo, it’s all homemade, including the chili that tops the chili coneys, the hand-cut french fries and onion rings, the caramel apple pie, loaded brownies and pineapple upside-down cake. The other thing that makes Flo’s stand out is their emphasis on customer service. “There’s nothing like our customer service. I started this place because there was no place that could give good customer service,” she says. That desire to expand led Adkins to open a second location at the corner of 11th Street and Birmingham, on Route 66, near the University of Tulsa. She’s planning to do some breakfast menu items at the second location at some point., And of course, there will still be the classic Flo’s burger menu that everyone has come to know and love. When asked what keeps her going in the restaurant business, Adkins says it’s her love of cooking. She cooks at home when she’s not at work. She also co-owns a successful catering business called Yes, Chef Catering Tulsa, which handles weddings every weekend.